Buy online our clothing and fashion fabric Ricamo 901. Embroidered fabric on black mesh with important floral embossing tone on tone. Suitable for evening dresses. 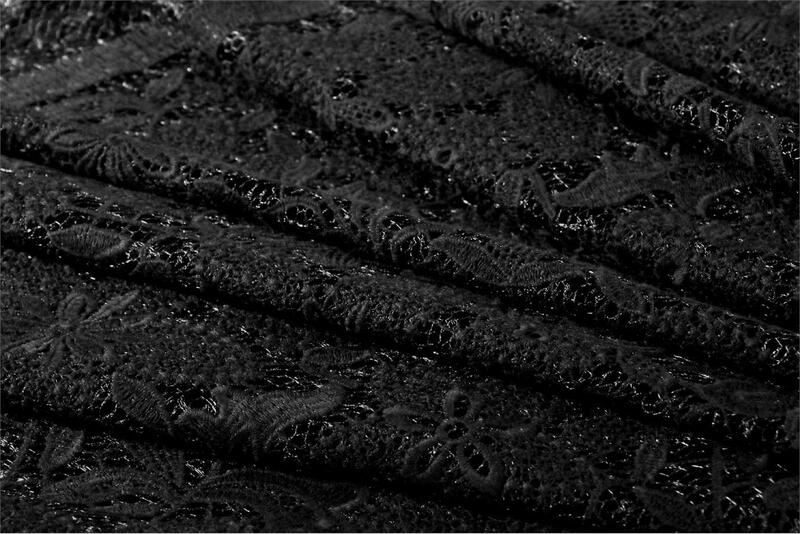 Black Mixed Laces/Embroidery fabric for Dress, Party dress.